School fairs are an excellent opportunity to raise the profile of global links and keep the school community fully informed. 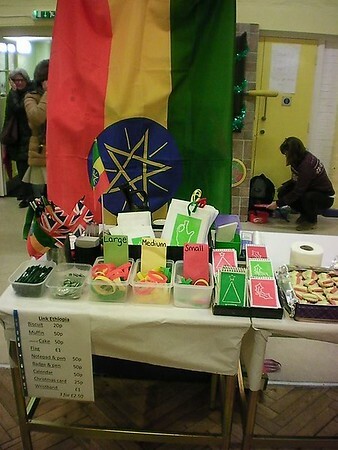 At Brackenbury Primary School in London, the school’s Link Ethiopia Club holds a stall to promote the school’s link with Besebarok School in Ethiopia. 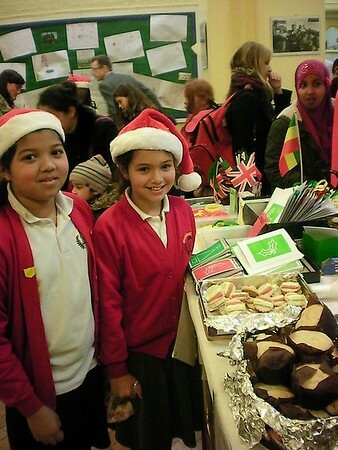 Each year, the school has fairs for Christmas, Easter, Eid al-Adha and during the summer too! Every fair provides a great opportunity to also raise funds for Link Ethiopia’s fantastic work. 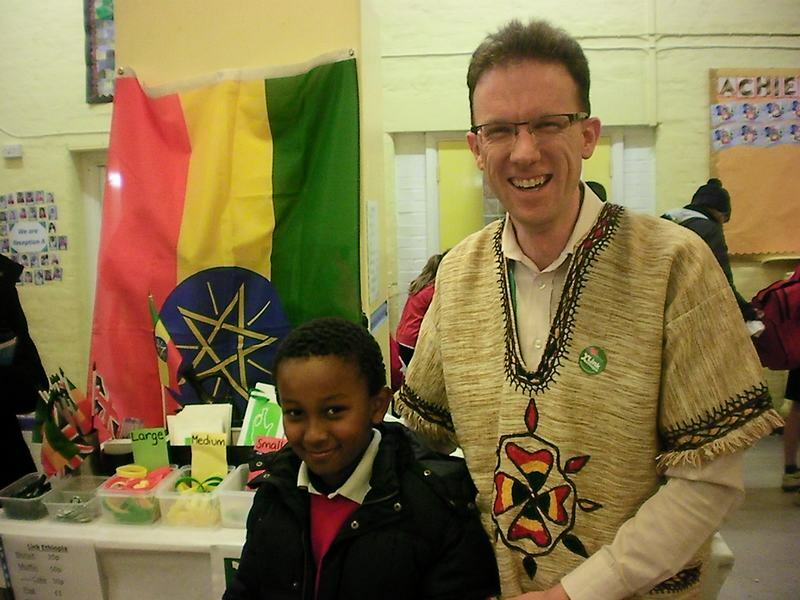 Over the past two years, Brackenbury has raised sufficient money to enable Besebarok to participate in Link Ethiopia’s exciting Literacy & Libraries project. During Brackenbury’s recent Christmas fair, the Link Ethiopia club sold Link Ethiopia merchandise (pens, badges and wristbands) and flags. 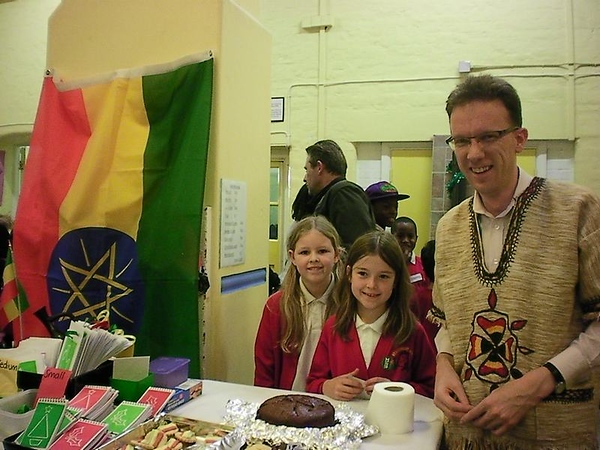 Also, cakes and biscuits (decorated with the Ethiopian flag) were available along with greetings cards, notepads and calendars made by the club members, with Ethiopian images such as the traditional coffee pot. The Link Ethiopia club members enjoy selling the products whilst also being available to answer questions from their peers and the school community. 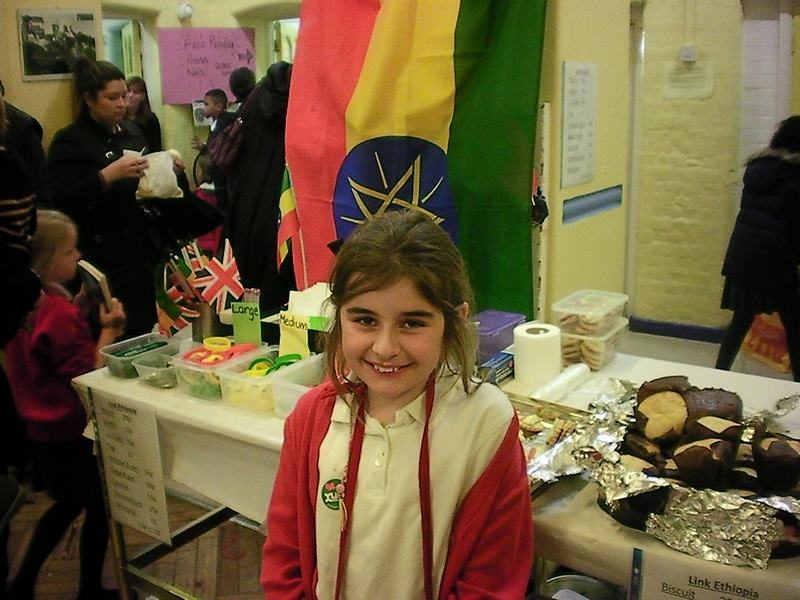 The Link Ethiopia stall is now an established feature of school fairs and an effective way of maintaining the profile of the partnership between Brackenbury and Besebarok.